Francis C. Hinshaw4,5 [Frank C. Hinshaw1,6,7,8,9,10]. 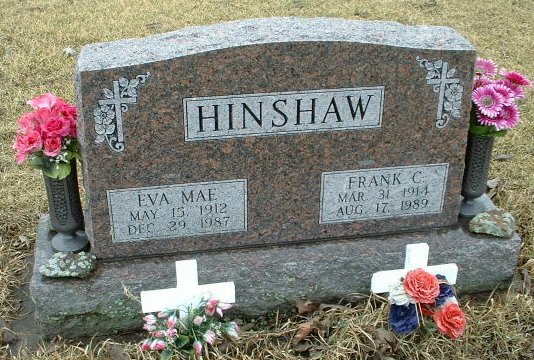 Hinshaw, Frank C, head-of-household, age 26, born in Illinois; completed 8th grade; on Apr 1 1935 was living in the same place/town; owned home ($1000 value); occupation: laborer, railroad section; worked 40 weeks in 1939; $680 wages in 1939. Hinshaw, Eva M, wife, age 27, born in Kentucky; completed 4 years of high school; on Apr 1 1935 was living in the same place/town. Hinshaw, Clifford, son, age 4, born in Illinois. Hinshaw, James R, son, age 1, born in Illinois. Contribution from Crystal A. Hinshaw. Obituary of Dennis Allen Hinshaw. RootsWeb WorldConnect data from Diane Smith Battershell (). 1930 census, 6720 Parnell Avenue, Ward 17, Chicago, Cook County, Illinois; roll T626-443, ED 638, page 10A, line #39, dwelling #116, family #215. 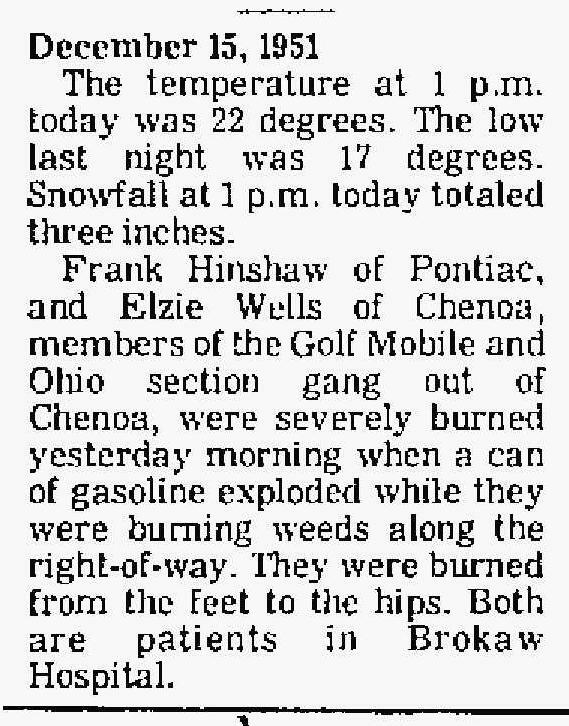 "Daily Leader" (Pontiac, Illinois), Dec 15 1976; http://www.ancestry.com.